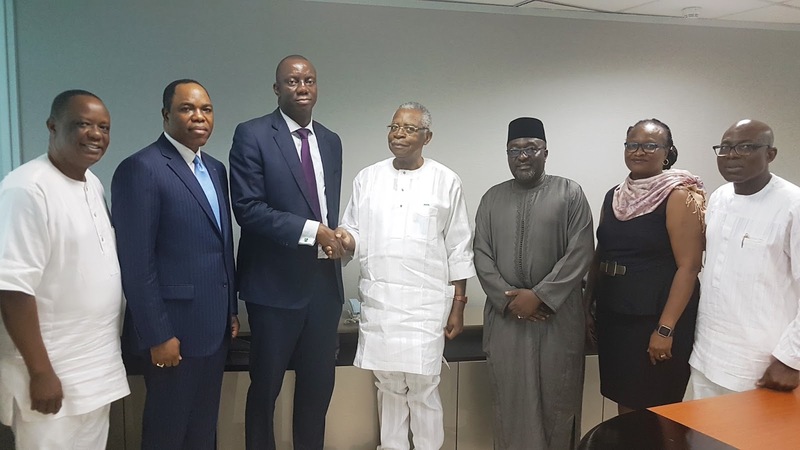 The acclaimed Nigeria’s first 4G/LTE-Advanced network, ntel, has announced the departure of Kamar Abass, its pioneer Managing Director/Chief Executive Officer, reports ITRealms. The Director, External Affairs, ntel, Mr. Osondu C. Nwokoro, told ITRealms in a press statement that Mr. Abass has stepped down from his role as CEO due to urgent personal and medical considerations. “The NatCom board has named Abhulime Ehiagwina as Acting CEO and the company will embark on the search for a substantive CEO in due course,” he said. ITRealms recalls that Mr. Abass joined the Board of Directors of NatCom in 2015 as the CEO of ntel and led the company through launch on April 8, 2016 with operations in Lagos and Abuja and then subsequently in Port Harcourt by December 2016. He graduated with a Bachelor’s degree in Civil Engineering from the University of Lagos, Nigeria and holds an MSc in transportation planning & management from the University of Westminster, London, UK as well as an MBA from Cranfield University’s School of Management, Bedfordshire, UK. With wide ranging experience in the global telecommunications industry Kamar Abass led ntel to record a string of firsts; first advanced 4G/LTE network providing superfast Internet access that enables voice, data video and TV on demand; first network to make a 4G data call on Monday January 18, 2016; First network to make a VoLTE Call on Tuesday, February 23, 2016; First 4G/LTE Advanced network to begin full operations in Nigeria on Friday 08 04 2016 in Lagos and Abuja; First network to launch a bespoke 4G/LTE dual-SIM phone in Nigeria. Abhulime Ehiagwina, holds a BSc Accounting degree from the Obafemi Awolowo University, an MBA from the University of Lagos and an Advanced Management & Leadership Programme (AMP) certificate from the Said Business School, Oxford University, UK. Prior to joining ntel as Chief Financial Officer (CFO), Abhulime was CFO & Board member of Helios Towers Nigeria, where he oversaw the Finance and IT functions. He helped grow the Company EBITDA by over 300% in 3 years and raised a $250m Eurobond, first non-bank or Oil/Gas Company out of Nigeria. He also sat on the board of Interswitch as a non-Executive Director during this period. He has over 25 years financial management experience. The company has assured all stakeholders that it remains committed to existing obligations and will honour same. It has also clarified that the leadership transition will be smooth and orderly in accordance with no impact on its operations. Pix: Change of guards – (l-r) Capt. 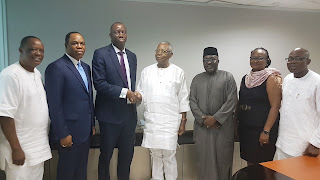 Hosa Okunbo, Executive Director, Dr. Olatunde Ayeni, Vice Chairman, Abhulime Ehiagwina, Acting CEO & CFO, General TY Danjuma, Chairman, Alhaji Kashim Shettima, Director, Nkechi Newton-Denila, Executive Director, Legal/Company Secretary and Dan D. Kunle, Director all of ntel during a courtesy call on General Danjuma by the board to present the Acting CEO, today.